Movie screen made possible by Summit Health. 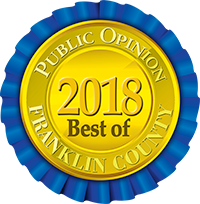 Summer Movie Series Premium Sponsor: Franklin County Visitors Bureau. Movie Tickets are sold at the door. 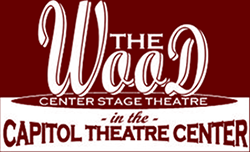 Groups, please call the Box Office at 717-263-0202 M-F 11am-4pm. Check out our new surround sound system! Purchase a Movie Pass at the Box Office to receive all Summer Movies for just $25! 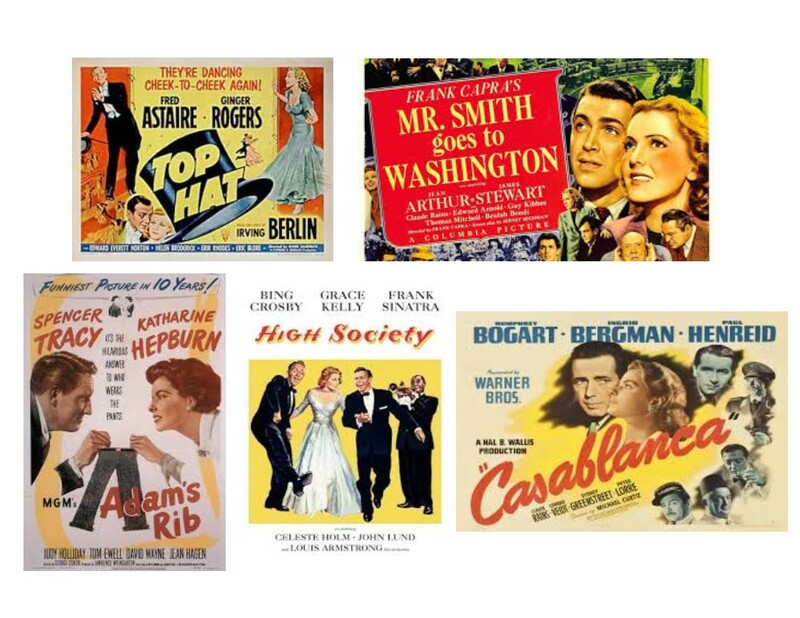 Seven glorious classic movies from 1935 – 1956, many chosen by patrons via a survey conducted during the Introducing the Movies summer film series. 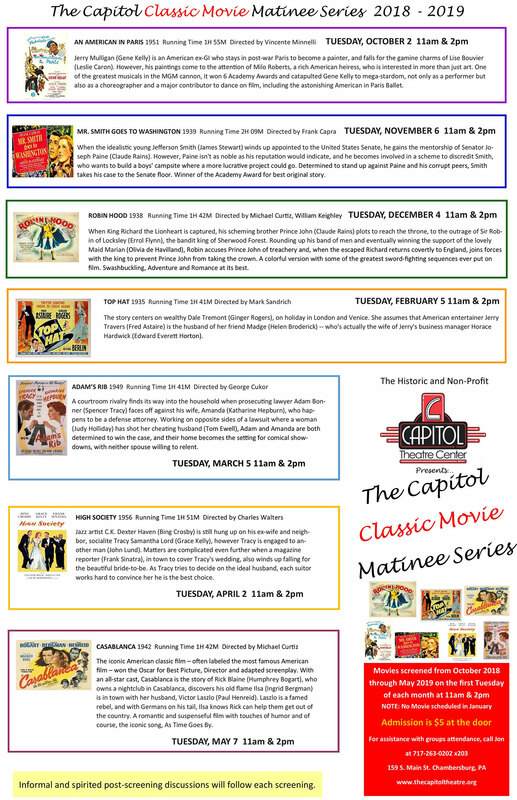 Enjoy seeing these great films on the big screen with fellow movie-lovers. For those who are interested, there may be short post-screening discussions to enhance your experience. Our summer movie series returns for its’ third year with community leaders choosing one of their favorite movies from the following proposed categories: Sports, Comedy Teams, History. These categories are subject to change. Check back here around the end of March for confirmation of categories.